Modern Angola in Africa emerged mainly out of the territory of the former Kongo kingdom which encompassed much of the Lower Congo and what is now northern Angola. The region, and its native Bantu kingdom, was a Portuguese colonial territory during the late nineteenth century and much of the twentieth century. Before that, it had seven hundred years of recorded or remembered history, and up to three thousand years of settlement. People speaking ancient versions of Kikongo probably arrived in the region encompassing the modern Republic of the Congo, the Democratic Republic of Congo, Angola, and Gabon from the north as part of the larger Bantu migration. They were practicing agriculture by at least 1000 BC, and working iron by at least 400 BC. Situated in the Lower Congo and northern Angola, the Kongo kingdom was founded in the fourteenth century. The kingdom's original home lies somewhere in the region along the lower stretches of the River Congo. According to a study of Kongo's traditions by John Thornton, the origin of the kingdom was in the small state of Mpemba Kasi, located just south of modern day Matadi in the Democratic Republic of Congo. A dynasty of rulers from this small state built up their rule along the Kwilu valley, and were buried in Nsi Kwilu, which was apparently its capital. At some point in around 1375, the ruler of Mpemba Kasi made an alliance with the ruler of the neighbouring Mbata kingdom, and the Kongo kingdom was born out of this alliance. Ruler of the Mbata kingdom. The alliance guarantees that each of the two partners ensures the succession of their joint lines. The son and heir of this arrangement, Lukeni lua Nimi becomes the founder of the Kongo kingdom when, in around 1400, he conquers the kingdom of the Mwene Kabunga (or Mwene Mpangala), which lies upon a mountain to his south. 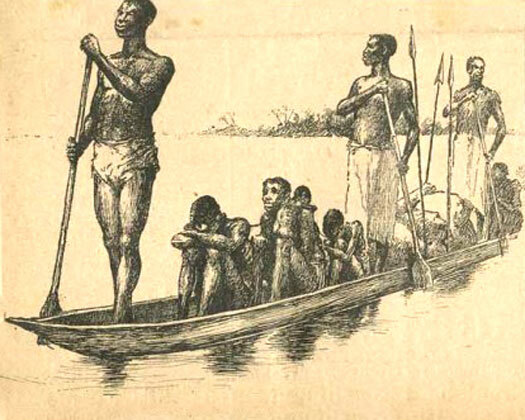 Although its trading contacts were limited, by the fifteenth century the kingdom stretched from the River Congo in the north to the River Loje in the south, and from the Atlantic Ocean to beyond the River Kwango in the east. Several smaller autonomous states to the south and east paid tribute to it. Kongo was ruled by the manikongo, or king, and was divided into six provinces, each administered by a governor who was appointed by the manikongo. The capital was at Mbanza Kongo. Unfortunately, the history of the kingdom was only written down in the late sixteenth century, and focussed on the ruling dynasty, largely overlooking any previous ruling dynasties. 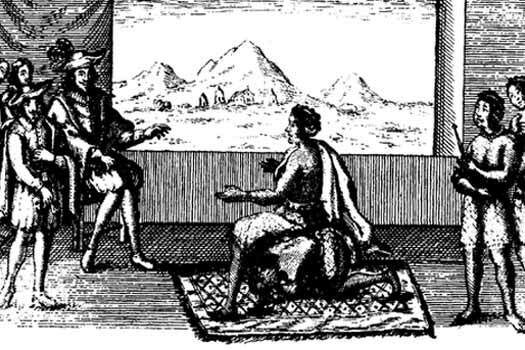 Portuguese explorer Diogo Cao visits the kingdom, impressing the manikongo with Portuguese culture. Portuguese missionaries, soldiers, and artisans are welcomed at Mbanza. The missionaries soon gain converts, including Nzinga Nkuwu (who takes the name João I), and the soldiers help the manikongo defeat an internal rebellion. Raised as a Christian. Attempted to convert his subjects. The Portuguese are primarily interested in increasing their private fortunes (especially through capturing Africans and selling them into slavery), despite the attempts of King Manuel I of Portugal to channel the efforts of his subjects into constructive projects. Following Alfonso's death, they play a major part in weakening the kingdom and reducing the hold of the capital (renamed São Salvador) over the provinces. Kongo declines rapidly and suffers major civil wars. The Portuguese have already shifted their interest southwards to the previously subject kingdom of Ndongo and help them to defeat Kongo. Killed while fighting a war in the east. During this period, the Portuguese strengthened their position along the coastline through an aggressive policy of war and treaty, forming a colony that would become Angola. They also sent several missions to Kongo's southern neighbour, Ndongo, which ended in a disastrous uprising in 1579. The Portuguese fled back into Kongo and had to be aided by Kongo's native forces to repel the Ndongo. Following a request by the manikongo, the Portuguese aid the Kongo kingdom (and their own interests) by helping to repel an invasion from the east by the Lunda ethnic group. Kongo virtually becomes a Portuguese colony. They are 'allowed' by the manikongo to found what becomes the capital of modern Angola, Luanda, which they use as a base for the slave trade. The War of the Portuguese Succession is fought between Anthony of Portugal and Philip of Spain. Anthony is pushed out of the country in 1581 and ends up occupying the Azores. Defeated in naval battles, his attempt to secure the throne comes to an end in 1583. Philip gains the throne, theoretically uniting Portuguese and Spanish colonial interests. The Quilombo of Palmares settlement of escaped slaves is formed in far eastern Brazil (the term 'quilombo' is specifically used for such settlements). The settlement's population is formed largely of free-born enslaved Africans and is ruled by chiefs who apparently have a princely origin within Africa. One of the last rulers is Zumbi, claimed as a grandson of an unnamed manikongo. Elements of the royal family are captured at the Battle of Mbwila in 1665, so the claim is not without merit. In around 1615, the Portuguese encouraged Imbangala bands that were ravaging the kingdom of Benguela to cross the River Kwanza and serve in the colonial armies. They were used well in attacks against Ndongo from 1618. Meanwhile the still-independent Kongo kings had to manage a balancing act between the interference of the Portuguese and the interests of the Spanish. Relations with the latter seemed preferable, but the Portuguese presence in the region was too strong for Kongo to be able to act too openly in that direction. 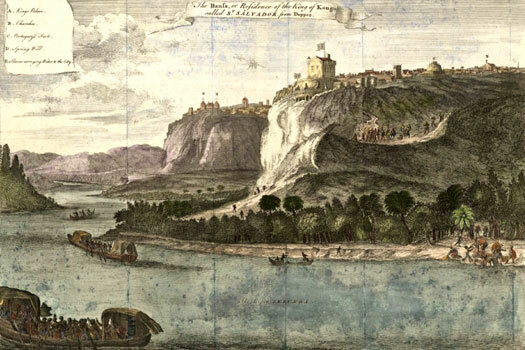 The Portuguese suffered a loss of authority during a series of wars in 1626 and 1628 against the ruler of Ndongo, thanks to mistakes made by the Portuguese governor. Negotiations and skirmishes continued until 1639. Relative peace returned to the Kongo kingdom in 1639 following the conclusion of a peace treaty with Ndongo. A new Portuguese governor from 1648 attempted to restore colonial authority as much as possible, although he made little progress. The protracted Portuguese Restoration War (or Acclamation War) is triggered in 1640 by the accession to the Portuguese throne of John the Restorer. It only ends when Portuguese independence is fully recognised in 1668. Perhaps taking advantage of the situation, Garcia allies himself to the Dutch in an attempt to control Portuguese slave traders, but in 1665 a Portuguese force decisively defeats the army of Kongo at the Battle of Mbwila. The manikongo becomes little more than a Portuguese vassal. The kingdom disintegrates into a number of small states, all controlled to varying degrees by the Portuguese. After the Battle of Mbwila (or Ulanga), the kingdom was involved in a long and brutal civil war. The House of Kimpanzu, with the support of Soyo, was often based at Mbamba Luvota, while the rival House of Kinlaza held Mbula (or Lemba), south of the River Congo, and Nkondo in the upper Mbidizi/Lukunga system. A third house, Agua Rosada, which was descended from both the other two, ruled in Kibangu. Soyo more or less became independent but regularly intervened in Kongo's affairs. Defeat at the hands of the Portuguese at Mbwila changed a good deal for the rulers of Kongo. Previously the positions of power under the manikongo had fluctuated, sometimes changing their titles and powers with each succession of manikonga, sometimes lasting for more than one succession. During the civil war period, there was little time or appetite for such 'fiddling'. Instead positions and titles became largely set in stone, forming a more certain courtly administration for generations to come. While many of the rulers in this period did not recognise the legitimacy of their rivals, the numbering was maintained by later generations to include them all. House of Kinlaza. Continued to rule at Mbula/Lemba. São Salvador is sacked and destroyed, considerably weakening the country's centre to the benefit of the rival faction based on the kingdom's edge. The Kimpanzu retreated south to Mbamba Lovata, which territory was to some extent under the protection of the prince of Soyo. Under the informal leadership of Suzanna de Nobrega, they opposed the Kinlaza and any other group claiming to rule Kongo. The kingdom's population also retreated to the mountains or fell victim to the slavers. The manikongo of Kibangu still claimed sovereignty over the kingdom, but their power never extended beyond their fortress. Gained the entire kingdom, creating the Rotating Houses. During his reign Pedro IV gains control over the entire kingdom. He is not regarded as a legitimate ruler by twentieth century descendants of the later manikongos. A descendant of the House of Kibangu for the Agua Rosada becomes King Garcia V Nkanga a Mvemba in 1803, reuniting the Kongo kingdom after a period of factionalisation. Following the destruction of the capital in 1678, the Kinlaza retreated to their fortress at Mbula/Lemba, Pedro III continued his reign and Joao II followed. A branch of the Kinlaza controls Nkondo on the upper River Mbidizi from the late 1680s when Ana Afonso de Leao establishes herself there. They become known as the 'Southern Kinlaza' and, in 1764, they are able to seize Kongo's throne for themselves to rule under that name. Ruled Kongo (1669). Continued diminished reign at Mbula/Lemba. Following Dona Beatriz's religious movement which re-populated São Salvador, Pedro IV seized the kingdom and tried Dona Beatriz for heresy. With the church behind him, he secured Kongo and appeased the opposition faction by ensuring that a Kimpanzu heir would succeed each Kinlaza ruler at the end of his reign. The Kimpazu had a pretty strong claim to the throne anyway, having supplied occasional kings since Alvaro IV became Kimpazu king in 1631. The names of kings shown in red are from the list by Francisco das Necessidades, which was compiled from oral traditions and documents found in São Salvador in 1844. Records for the kingdom in the eighteenth century and early nineteenth are sparse. Lists of rulers up to Pedro V can conflict with one another, and little is known as all of the kingdom. Reunited the kingdom. House of Kinlaza. House of Kimpanzu. Ruled after 1758. For refusing to acknowledge the agreement regarding rotating houses, Pedro V is overthrown by Alvaro XI of the Southern Kinlaza. He is later excised from the numbering for all Pedros, with Pedro VI of 1859-1891 signing himself Pedro V from the very start of his reign. Pedro of the Kimpanzu does not go away, however. Upon the death of Alvaro XI he challenges his successor for power. Pedro V of the House of Kimpanzu was the last Kongo king during the Rotating Houses period. The unusual arrangement suggested by that period's title had been reached in order to secure peace when two houses of fairly equal strength wanted the throne - both houses had previously supplied kings to the throne - and it worked for half a century. Then Pedro V was overthrown by Alvaro IX whose accession heralded the start of a period of complete control of the throne by the Southern Kinlaza, a branch of one of the two rotating houses of the previous half century. As for Pedro, he withdrew to Mbamba Lovata while Alvaro XI secured his hold on power. Alvaro and his Kinlaza successors were apparently from a branch of the clan that controlled Nkondo on the upper River Mbidizi. They had held this region since the late 1680s when Ana Afonso de Leao had established herself there. They became known as 'Southern Kinlaza', as the Northern Kinlaza, centred in Mbula, continued to exist in their own right even though they were no longer kings. As expected, the territory of the Southern Kinlaza lay to the south of the capital at São Salvador. Of the Kivusi clan of the Southern Kinlaza. Alvaro's death allows the dispossessed Pedro V of the Rotating Houses period the opportunity to launch another claim for the throne. His House of Kimpanzu supports him but the Southern Kinlaza are in the ascendant now. 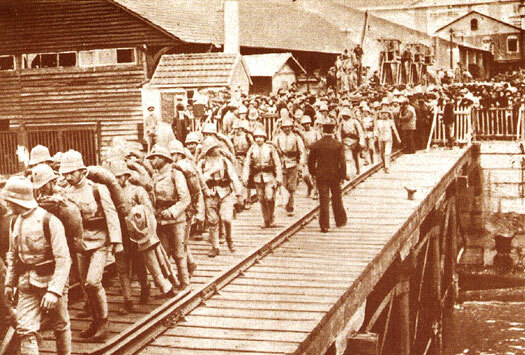 Following a battle outside São Salvador in which they are victorious, it is their candidate who succeeds Alvaro. Of the Nkondo clan of the Southern Kinlaza. Seized the throne. Killed or exiled? With the unexpected death of Afonso V the succession becomes disputed. Alvaro XII seizes the throne, but his reign is of uncertain length. A period of internecine warfare is likely here, perhaps lasting for up to six years. While it could be Alexio I Mpanzu a Mbandu who secures the throne it is more likely that he is one of the parties involved in the strife, and that it is his immediate successor who begins to rebuild the kingdom as Joaquim I of Kongo. Although regarded as supreme kings of the Kongo kingdom by the Portuguese, they were in fact the most powerful of the region's various chieftains, these being the mwene (singular, meaning 'lord', or awene, plural). Various lesser positions also existed in order to maintain the apparatus of state. The manikongo did not rule a single unitary kingdom but instead collected tribute from subsidiary chiefs and maintained their loyalty. But for the Portuguese presence, it is most likely that the normal cycle of rise and fall would have continued, perhaps with an eventual unitary kingdom emerging. A struggle for the throne had been triggered by the unexpected death of Afonso V in 1787. Alvaro XII of the Southern Kinlaza seized control for an unknown period of time but, after his death or defeat at an uncertain date between 1787-1793, the throne passed from house to house in no particular order, and records covering kings and the kingdom itself continued to be very scrappy and sparse. A good deal of in-fighting was seen during the period, with Garcia V being the one who finally ended the threat of the Southern Kinlaza resuming control. The capital remained São Salvador (renamed in 1570 from M'banza-Kongo, and now the capital of Zaire Province in Angola). Won the throne from Alvaro XII of Southern Kinlaza? Parentage unknown. Seized the throne? Parentage unknown. Began rebuilding the kingdom. In an effort to end the factional fighting for the throne, Henrique agrees a policy of succession with Garcia. Possibly agreeing only to give himself time, in 1803 (or 1805) Garcia proclaims himself sole king. Of the House of Kibangu for the Agua Rosada. Son. Of the Northern Kinlaza. Sometimes merged with André II. Died of lung complications. In line with prevailing efforts across Europe that are largely being pushed forwards by Britain, Portugal officially abolishes the slave trade south of the equator. The practice of trafficking people largely goes underground and continues until after the First World War. Legitimate trade switches from the government-controlled 'packaging' of people to individuals working and trading on their own behalf, and a new level of prosperity begins to seep down through society. As the son of Henrique III, Alvaro gains the throne upon his father's death with the support of the electors. He is opposed by Pedro, usually shown as being a son of one of Henrique's sisters. Pedro is expelled from São Salvador and seeks support from the Portuguese who have recently captured Bembe, which lies to the south of Pedro's own southerly domain. Then he embarks on a drawn-out campaign that ends with Alvaro being driven out. Cousin (sometimes shown as a brother). Pedro VI now has full control of the kingdom. His power-base lies around Madimba, which is to the south of the capital at São Salvador. This is territory inherited from the Southern Kinlaza. From the very start of his reign Pedro refers to himself as Pedro V, excising from the records Pedro V Ntivila a Nkanga (1763-1764) of Kimpanzu (king briefly during the period of Rotating Houses). Pedro VI signs the Treaty of Vassallage with Portugal. Based on the outcome of the Conference of Berlin of 1884-1885, the territory of Kongo is incorporated mostly into Angola and partly into the 'Independent State of Congo' (largely but not entirely within the modern Democratic Republic of Congo). Local resistance persists, however, and the manikongo rule a reduced kingdom, the independent state of Congo, firstly under Pedro and then under his son, Alvaro. Under Portuguese control, the native elected rulers governed a reduced Kongo from their capital at São Salvador. The rulers continued to be titled the manikongo (this being a Portuguese alteration from the native 'Mwene Kongo', or 'Lord of Kongo'), and their territory formed parts of what is now Congo and Angola. As previously, those manikongo who bore the name Pedro continued to ignore the original Pedro V (1763-1764), numbering themselves lower than was strictly accurate. This false numbering is given in parenthesis. Following their removal from power in 1914, the manikongos apparently retained their titles but had no power. These titular rulers are shown below with a shaded background. Any claim to the former throne seems to have ended with the country's independence in 1975, although it has been rumoured that Angola's current, long-lasting dictator, Jose Eduardo dos Santos, can claim descent in part from the royal family. This at least would explain the lack of any royal pretender to the lost throne, but it seems to be without any real basis or support (and his parents were immigrants into Luanda). The former capital city is now the capital of Zaire Province in Angola. Uncle and regent during Pedro's minority. Son of Pedro VII. Died a year after accession. The position of manikongo is abolished by the Portuguese following a revolt against them that is lead by Alvaro Buta. The reduced kingdom is merged into the Portuguese colony of Angola. Manuel III remains manikongo in name only until 1915, when the royal family decree his replacement by Alvaro XV. Angola's Portuguese status changes from colony to overseas province. Between this point and 1961 a nationalist movement develops and guerrilla war begins. To the north of Angola, the Democratic Republic of Congo achieves independence from Belgium, while the former French region of Middle Congo becomes the Republic of the Congo. Between 1957-1962, Isabel Maria da Gama, widow of António III, acts as regent for the young Pedro IX. Upon his untimely death, she renews her role as regent for the kingdom despite there not seeming to be another candidate for the title of manikongo. First female claimant to the title, although entitled regent. Angola lies in south-central Africa, with the Democratic Republic of Congo on its northern border, Zambia to the east, and Namibia to the south. It also has an enclave province called Cabinda which is wedged onto the coast to the north. 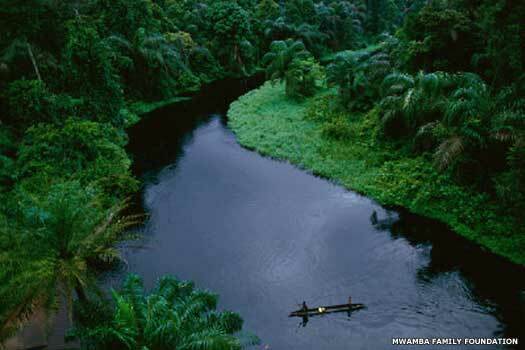 It lies sandwiched between the republic of the Congo to the north and the democratic republic of Congo west and south. The Angolan capital is at Luanda, once one of the world's busiest slave-trading ports. In a history that saw the usual nineteenth century colonial interference, Angola emerged mainly out of the territory of the former Kongo kingdom which encompassed much of the Lower Congo and northern Angola. The region, and the native Bantu kingdom, was a Portuguese colonial territory during the late nineteenth century and much of the twentieth century. Before that, it had seven hundred years of recorded or remembered history, and up to three thousand years of settlement. People who spoke ancient versions of Kikongo probably arrived in the region that is encompassed by the two modern Congo republics, plus Angola itself and Gabon to the west as part of the larger Bantu migration. The people here were practicing agriculture by at least 1000 BC, and working iron by at least 400 BC. Between 1974-1975, there was revolution in Portugal and as a result of the turmoil its overseas empire collapsed. Angola gained independence in 1975 as the republic of Angola without any official handover or preparation. A power struggle immediately ensued between the MPLA (People's Movement for the Liberation of Angola), backed by Cuba and Soviet Russia, and the FNLA and Unita, backed by South Africa and the USA. The civil war rumbled on for years, and even today foreign travellers are advised against entering the country's north-eastern corner on all but the most essential of trips. However, an oil boom is making Angola one of the fastest-growing economies in the world, and one of the most expensive in which to live for those who have the money (principally foreign oil workers). Outside of this it is still one of the least developed countries, having to import almost everything it needs other than the very basic essentials. Sudden and unexpected independence from Portugal in 1975 is the touch-paper for a destructive civil war between the two main factions in the country, the MPLA (People's Movement for the Liberation of Angola) on one side, and the FNLA and Unita on the other. With interference mainly by Cuba (with 50,000 troops in the country) and South Africa (with its army there), the civil war alternates between phases of relative calm and intense action. At the same time as independence is proclaimed and civil war breaks out, the former colonial masters pull out of the country, taking everything that can be moved. The memoirs of Ryszard Kapuscinski, entitled Another Day of Life, describe efforts to cram the entire city into a series of wooden crates and ship most of it to Lisbon. Entire streets of abandoned, rusting cars are left behind, but just about everything else is removed. 'President' in name with a firm grip on power. Moves are made to withdraw troops after Unita and the MPLA government sign a peace accord in Lisbon. However, the elections in 1992 are disputed and fighting begins again. 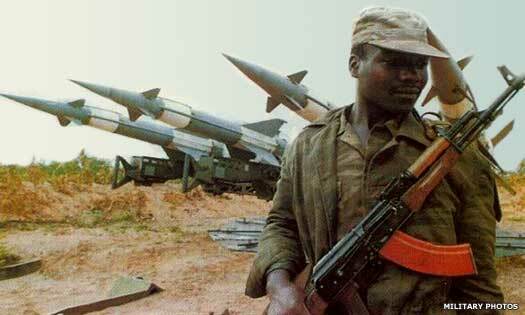 The war flares up following tensions, and finally ends when Unita signs a ceasefire in 2002. The real end is apparently signalled when Jonas Savimbi is assassinated by being shot in the head. For the duration of the civil war he had proved himself to be a murderous despot who had embraced Maoist principles, despite being backed by the CIA and South African mercenaries. True peace finally arrives in Angola, notwithstanding a high crime rate and several kidnappings and murders of political opponents. The republic's long-term president - Jose Eduardo dos Santos - appoints Fernando da Piedade Dias dos Santos as the first prime minister to assume the post in more then three years. The ruling MPLA of which President Jose Eduardo dos Santos is a member wins the country's first parliamentary elections for sixteen years. A new constitution is approved in 2010 which substitutes direct election of the president with a system under which the top candidate from the largest party in parliament becomes president. It also strengthens the presidency's powers, prompting the Unita opposition to accuse the government of 'destroying democracy'. Elements of the 'Front for the Liberation of the Enclave of Cabinda' (Flec) attack a police convoy which is escorting Togo's national football team on its way to attend the Africa Cup of Nations, killing three team members.